This item has been downloaded 105 times. * A shelf-sized box for placing models on tables or shelves. * A free-standing box, with front label, suitable for museum-type displays. Includes dsf, duf/ png, textures, templates, and full instructions on how to resize the boxes and your model. 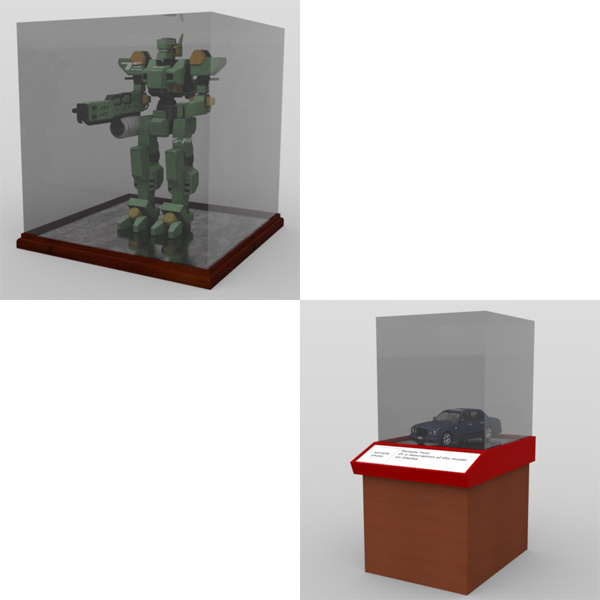 Models shown in the display boxes are not included.